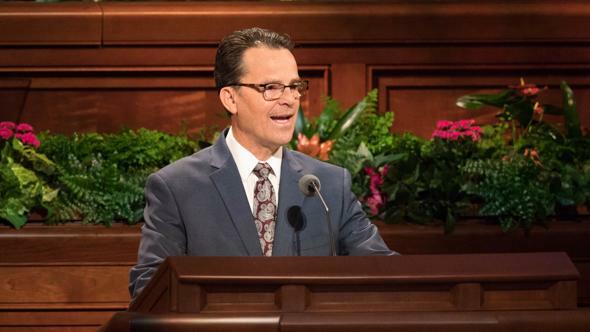 We can help others become more familiar with the promptings of the Spirit when we share our testimony of the influence of the Holy Ghost in our lives. 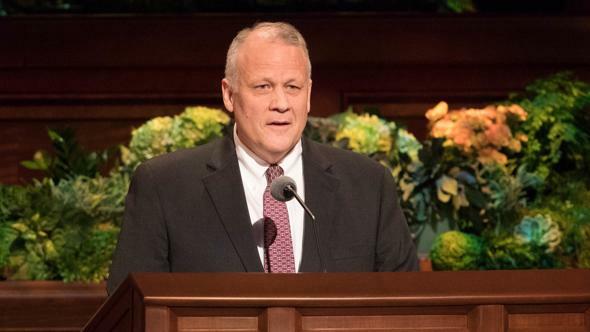 At the end of the day, a pair of missionaries starts toward home when one suddenly turns to the other and says, “I feel we need to stop at this one last place.” A home teacher is prompted to call one of the families he visited just a few days before. A young woman plans on attending a school friend’s party yet feels impressed to stay home this time. 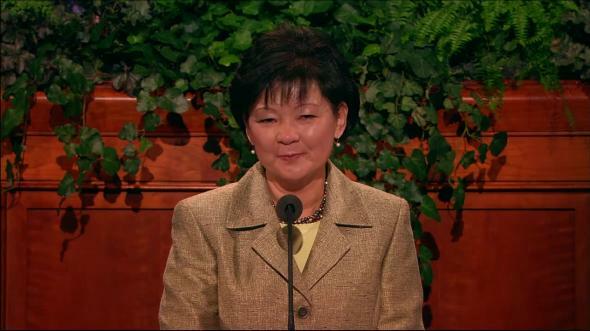 How did the missionaries know to knock on the door of someone who had been praying for them? or the home teacher to call a family that was in desperate need? or the young woman to stay away from a situation where her values could be compromised? In each of these situations they were guided by the influence of the Holy Ghost. Similar experiences happen repeatedly to members throughout the world on a regular basis, and there are those who desire to feel the Spirit guiding them daily in their lives. 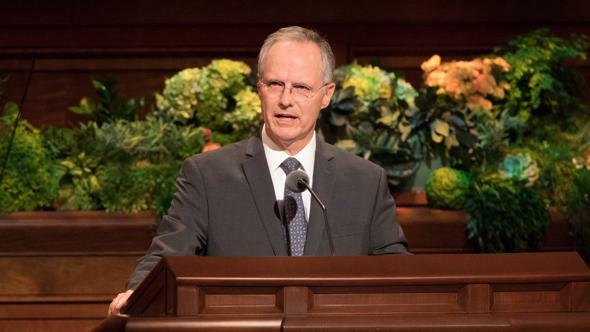 While each person can learn to recognize the whisperings of the Spirit, that learning process can be facilitated as others help us understand about the Holy Ghost, share their personal testimonies, and provide an environment where the Spirit can be felt. 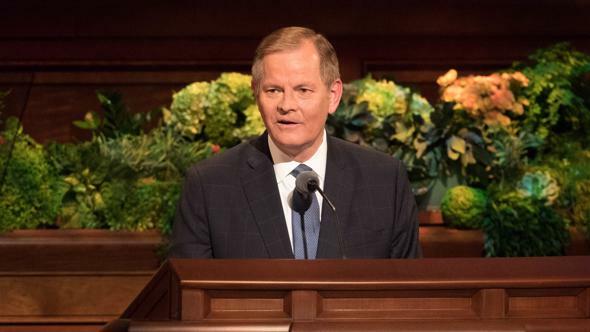 We can help others become more familiar with the promptings of the Spirit when we share our testimony of the influence of the Holy Ghost in our lives. Remember that some experiences are too sacred to relate. However, by sharing testimony of the Spirit in our lives, those who are unfamiliar with these promptings are more likely to recognize when they have similar feelings. I was the first member of my family to join the Church. As an eight-year-old, I waited to feel somehow different because of my baptism. To be honest, the only thing I felt when I was brought out of the water was … well, dripping wet. I thought something more profound would happen when I was confirmed. However, after receiving the Holy Ghost, again I felt happy but certainly no different than I had just a few minutes before. It wasn’t until the following day at fast and testimony meeting that I experienced what I now recognize as the influence of the Holy Ghost. 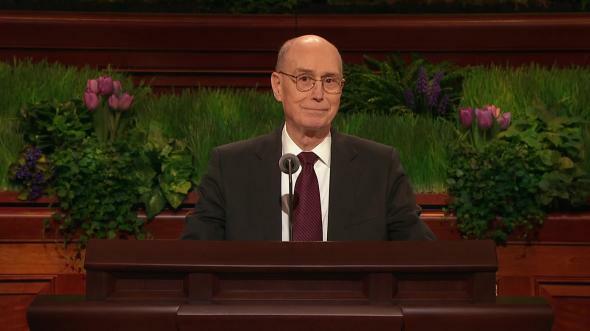 A brother stood to bear his testimony and tell about the blessings of his membership in the Church. I felt a flood of warmth sweep over me. Even as an eight-year-old, I recognized that this was something different. I felt a peace descend on me, and I had the distinct feeling that Heavenly Father was pleased with me. There are places where it is easier to feel the Spirit. Testimony meetings and general conference are some of those places. Certainly temples are another. The challenge for each of us is in providing an environment where the Spirit can be felt daily in our homes and weekly at church. 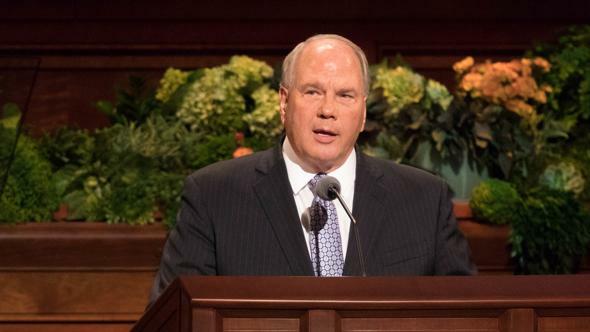 One reason we are encouraged to pray and read the scriptures every single day is that both of these activities invite the Spirit into our homes and into the lives of our family members. Because the Spirit is often described as a still, small voice,11 it is also important to have a time of quiet in our lives as well. The Lord has counseled us to “be still, and know that I am God.”12 If we provide a still and quiet time each day when we are not bombarded by television, computer, video games, or personal electronic devices, we allow that still, small voice an opportunity to provide personal revelation and to whisper sweet guidance, reassurance, and comfort to us. A Sunbeam teacher wrapped each of her class members one by one in a blanket to teach them how the Spirit feels like the comfort and security of that covering. A visiting mother also heard the lesson. Many months later the mother thanked the teacher. She told how she had been less active when she accompanied her young daughter to Primary. Several weeks after the lesson, the mother suffered a miscarriage. She was overcome with grief when suddenly she felt a great warmth and peace. It felt like someone had covered her with a warm blanket. She recognized the reassurance of the Spirit and knew that Heavenly Father was aware of her and that He loved her. As a young woman attending youth conference, I felt the Spirit bear witness to me of the truthfulness of the restored gospel. 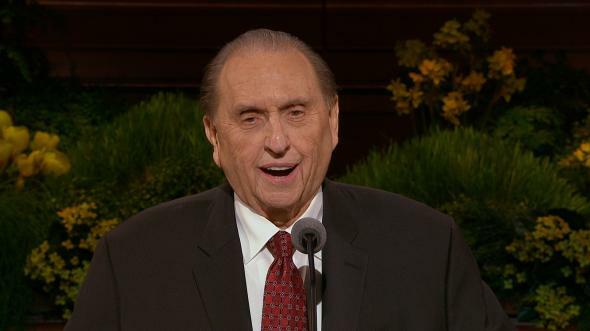 In preparation for a testimony meeting, we sang “The Spirit of God.” Now, I had sung that hymn many times before in sacrament meetings. But on this occasion, from nearly the opening note, I felt the Spirit. By the time we sang, “The latter-day glory begins to come forth,”17 I knew that these were more than nice lyrics; they were beautiful truths. The Holy Ghost has confirmed to me that God the Father lives. He loves each of us. He knows us individually and personally. He hears the pleadings of our hearts, and He answers those sincere prayers. Jesus Christ is our Savior and Redeemer. He came to earth in the meridian of time to atone for our sins. And He will come again. These and all other aspects of the gospel that make up my testimony are firm in my heart because of the influence of the Holy Ghost. In the name of Jesus Christ, amen. See True to the Faith (2004), 83. Joseph Smith, in History of the Church, 3:381. 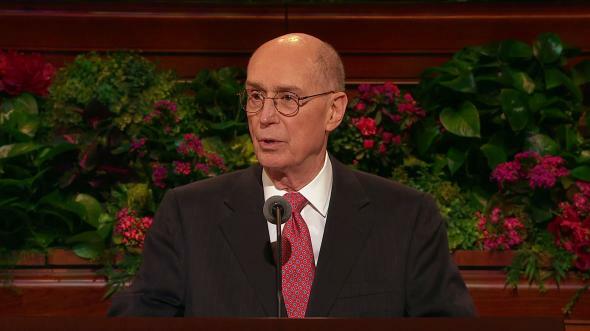 Henry B. Eyring, “Gifts of the Spirit for Hard Times,” Ensign, June 2007, 18. See 1 Kings 19:12; 1 Nephi 17:45; D&C 85:6. Psalm 46:10; see also D&C 101:16. 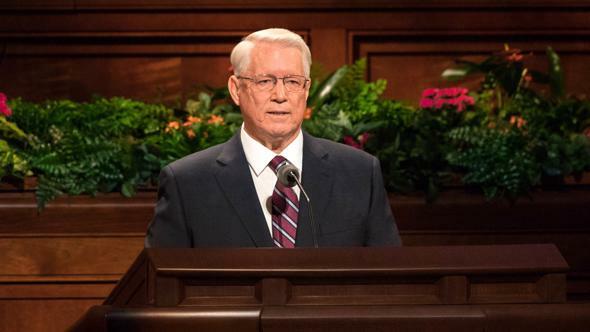 Richard G. Scott, “Helping Others to Be Spiritually Led” (address to religious educators, Aug. 11, 1998), 3; in Teaching, No Greater Call (1999), 48. “The Spirit of God,” Hymns, no. 2.